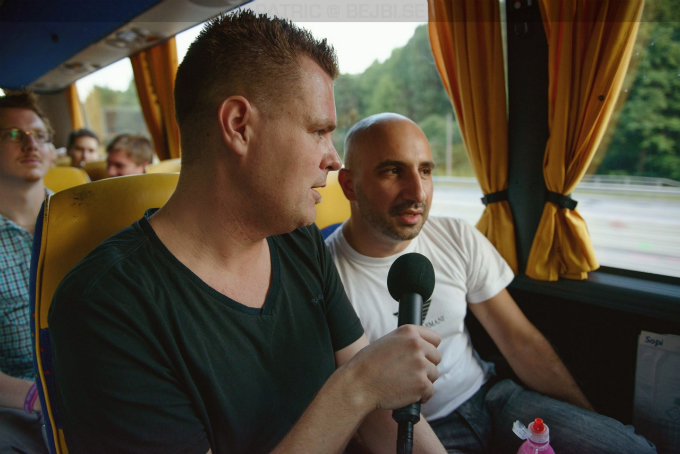 I caught up with Marius Andries on a bustrip to Västerås to an event called Stockholm Invasion which was put together by our friends at Kollektivet and we did an interview on a crowded bus full with drunken party people. You are known to the public since the 90’s as a part of Pinocchio. Can you tell us some info on your previous career. Wow. Well, I started around 96 together with Antiloop and we built our own studio in Lidingö. We rented a villa and built 2 studios. Both acts were into electronic dancemusic (or modern dancemusic as it was called at the time). And we decided to start up and try to put our effort into the sequence. If you listen to the music that was out there at the time in the same ”genre” as you, like Antiloop, you and for instance Earthbound which all had that harder trancesound with that drive or edge to it, almost to the goa-trance or psytrance style. When I listened thru your early works which were faster and edgier and compare them with the later (2002) sounds, you can hear that your productions were a bit calmer. Was it something that the market sought after or did you change the sound yourself? (laughs) Well, I think that came with age. If you look back at the top of your career, the years 1996 to 2002 and look at your accomplishments. What are the things that you are most proud of? Well, that was a hard question. What I was most proud of… Well actually, what I do now is more fun. Back then, everything was so controlled by the record company, down to what niche you should concentrate your song to. This was pretty boring as you didn’t have free hands to do what you wanted, and that’s pretty negative. Well, yes. I would say Hypnotized in that case. This was the track that I and Erik Färnert, which was a part of Pinocchio back then were most proud of. Both technical and on the production level. You also did quite a few remixes back then. You remixed artists like A-teens, E-type and 666 just to mention a few. Was it any particular remix that you were especially proud of? 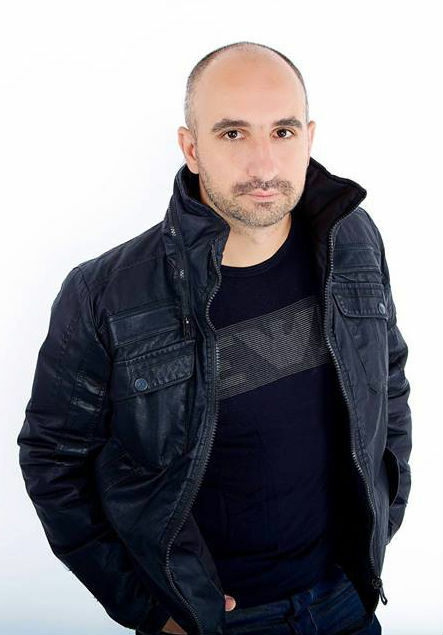 Well, most often it was productions that came from Dee Jay Promotions, and Giovanni, who had some artists like Solid Base and 666 on license from Germany. The stuff we made for them was probably the most fun remixes. If you look back on which remix productions you were least proud of, is there any specific remix that comes to mind? Yeah, there were probably quite a few. The thing was that, in 1999 to 2000 we mass-produced remixes, probably 35 to 40 remixes, and at the end of that period you could hear that most sounded pretty generic and we didn’t put our best efforts into the work. We just wanted to finish them quickly, and that’s not that fun. Nowadays when you produce, do you rent a space in a studio or produce at home? Well, nowadays you don’t need to be in a big studio to produce. Often it’s easier to put together a computer, a midi-keyboard and some software-synths which wasn’t the case back in the 90’s. I prefer to sit at home and do the groundwork and if you decide to finish it, you usually take it to a bigger studio to put the finishing touches and master it. When you sit at home in front of your computer and are producing, is there some special software-synth that you MUST use, or most often use or your productions can’t be without? I would say Nexus in that case. Then there’s Trillian and the moog-sounds which is in it. But I’d have to say that Nexus is my favourite synth. You recently signed up with Future Sound Of Sweden. How does it feel to restart your career with them? I don’t see is as a career, more as…. What’s good with Future Sound Of Sweden is that they don’t say anything about your productions. You have free hands to do what you like and they don’t try to form your tracks into something mainstream to fit the radio etc. I like to have free hands, especially when you are a musician like me who…. It’s more like a hobby for me, and nothing else. You do it because it’s fun, not as before, to earn some money. You do it because it’s fun and you get a warm feeling when you ’re sitting there and creating the music. Exactly. Besides producing, you’re also a DJ and a promotor for your own club, Club Noize, which resides in Snaps. You usually get the local dj’s to play instead of yourself. I haven’t seen you play yet. No, my first gig will be on the 28th of September. I haven’t done it so far because i’ve thought it would be the best to take strong, local dj’s which already are established to get the club going. Me, myself ain’t established as a DJ but…. As i said, I’ve tried to get some DJ’s that is already established in Stockholm. Absolutely. But under the height of your career, 1996 to 2002. Did it ever happen that you DJ’d abroad? Well, I’ve played some in Romania. 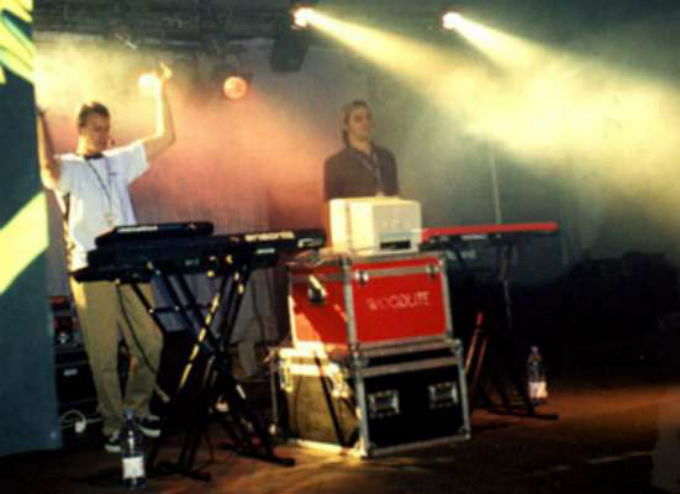 And also, we were on tour around 2000 all over Europe but we played more as a live-act, not as a DJ. How many were you on stage? One, two or three? On stage, we were only two. Erik and me. Was it large gigs or smaller clubs back then? It was both. The biggest was the Malmo-square which was over 10.000 people. Yeah, that was pretty exciting. There was a period after 2002 where you disappeared from the music-scene. What happened then? Congratulations! How old are them today? They are 10 and 8. They are 2 girls. Do you have any fun memories from your tours that you want to tell us about? Well, there was a tour in Lysekil with Bomfunk Mcs, Richi M, Earthbound and Antiloop. We were a pretty tight group which partied a lot and made music on the tour bus. Loads of laughs and a really nice atmosphere. Did any fun stuff happen? Any awkward situations? No, we were actually pretty mellow which felt really good. You talked about making music on the tourbus. Did any cool collaborations come out of it? No, it was more like someone showing off what they just done. If you look back on the height of your career. Who was your favourite dj/artist? Sounds right. But if you had to compile a list of your ”all time top 5”, is there any track or tracks that you want to mention as favourites? Yeah, there is one track which was popular back when I started to produce. It was Energy 52 – Cafe Del Mar. That’s probably still my all time favourite. When you are at a club or a pub, is there any special drink you always order? If you ask everyone that knows me, the will know. It’s Whiskey and Red Bull. I didn’t sing, it was more like reading text from a paper. Did you come up with the texts yourself (except for Da Da Da which was a remake)? Well, most often, it was only a couple of words. In the case of Hypnotized, I was influented by Billy Idol’s track with the same name. But it wasn’t exactly texts, it was more that you said anything spontaneous. The most fun was Flower On The Moon, which was a pretty early production. We were sitting drunk in the studio one night and watching the moon and trying to figure out what to say and had no idea. Let’s write about Flowers On The Moon, and most people say ”what did you smoke that night?” But we didn’t smoke, that I can tell you. It was too many drinks, as usual. And from that you get pretty wierd texts. You were active back in the day when infamous rave-club Docklands had it’s peak. Were you ever there partying? Well, I can tell you that I wasn’t that active on the partyfront back in the days, but I was there when I was playing there. But the feeling was great. Oh that’s right, we recorded the video for Abletarte, my first track was recorded there. Docklands had a reputation and people thought…. Actually the government associated it with drugs, people went there only to do drugs, it wasn’t for the music. So it was somewhat of a taboo. I don’t know…. How many times did you play at docklands? We (Pinocchio) played only once. But we also DJ’d separately on one occasion. Where does the name Abletarte come from? Well, there were a schnaps back then that everybody drank. Apple-scnaps, and one night we came up with the name aebletarte. It was one of those drunken nights. Back on the same EP, Musical Expressions, there were a track called Down The Basement, which later came with a 2000-remix. And that 2000-remix sounds more like Antiloop. Well, it was pretty influented by their sound, and that was because the record company wanted that special sound which was really sad. But… I can say that I did a version of it and went to the A&R and he something like said ”try to get it to sound more like a mixture of 666 and Antiloop” and I said, ”I can’t do it and I won’t do it, I want to do something of my own” and ended up putting a guitar-loop as main instrument on the track which eventually sounded pretty near Antiloop which is pretty sad. Well, Antiloop is really good but it’s sad that my production sounded like Antiloop. Yeah, that’s what every producer wants, their own sound. It’s harder today as everyone uses the same software-synths so much music can sound pretty alike. What you should try to do (and what I try to do) is create a sound with more defined melodies, put that personal touch on it which doesn’t sound like anyone else out there. I try to play alot with the chords and the build of the track so that it doesn’t sound like something already out there. It’s sometimes difficult but….yeah. That’s what you do. If you listen to your sound today and want to try to explain to someone who hasn’t listen to your productions, how would you explain it? No, but, haven’t decided or found what I want to sound like. It has been more like ”you spontaneously create a loop and try to do a track around it”. But a sound, Well, I can’t say that I have that yet. What I think is more fun is that you can mix your niche more today. Sometimes, I have created a harder track, and after that a more trancy track, and after that a more housy track. I don’t have any special niche, but if I have to label myself, i’d say Electronic Dance Music. Can’t say that I only do trance, or tech-house or techno. You get to where your loops take you. Do you set a special tempo when you create your tracks? I usually start around 126 bpm but everything depends on what the loop sound like. When you produce, do you use studio speakers or headphones? Have you gotten any release date for your first single, Holographic on Future Sound Of Sweden? Do you produce on PC or Mac? PC. I used to use mac, it’s more stabile but it’s harder to find good plugins. Is your studio computer in your bedroom? It’s really near the bed. You often run to it at least 10 times a day, as soon as you come up with something new. Which program do you use for your productions? Do you have a special computer just for producing or do you use the same computer for everything? I have an own computer just for producing. There is nothing else on it except what you need to produce. Well, i’ve got a few platina records and gold records for the sales that i’ve been apart of. Like E-type, A-teens, Pain and a few others. There is like 7 of them. They are on the wall at my bar at home. Which of the remixes did sell the most? A-Teens – Mamma Mia and E-Type – Campione. And of your own productions? Well, that must have been Hypnotized. But It didn’t sell that much. Have you ever tried any other genre, like hardstyle? I actually did a chillout-version of the Holographic. Have you gotten any requests to remix any other of Future Sound Of Sweden’s other artists? No, not yet. My contract with them is still pretty fresh. What is your feeling about the signing to Future Sound Of Sweden? Will you release loads of tracks? Well, i’ve signed a 4-year contract and I can do as many tracks as I want under these 4 years as long as I feel that it’s as good as I want it. It’s not important how many tracks I release under these 4 years. Future Sound Of Sweden has their own singer, Chase. Do you consider doing tracks with his vocals? I’m actually looking to release somthing with vocals, maybe not this track or the next but i’m trying to find someone who can write texts and sing. I know that on some of Future Sound Of Swedens upcoming tracks, they have sent a track to Chase and he’s sent it back with vocals. Is that any way you want to work? That’s how you usually work nowadays. Would you consider a collaboration with the other Future Sound Of Sweden-artists like Christian Rusch or Kim Svard? Absolutely! It’s exciting to work with other artists as they have another view on music than you, and also have another sound than you do. Have you learned anything music-wise from the touring-days when you shared bus with Antiloop and the others that you still use today? You learn all the time, it’s like a progressive learning curve. What kind of music do you listen to at home? Well, that varies. Sometime it’s house, sometime’s it’s trance and sometimes it’s techno or any other electronic dance music? Does it happen that you play for instance soul or reggae at home? No, no reggae, no pop. It’s usally EDM of some kind. Do you listen to commercial radio at home or at work? No. The only radio station I listen to is Radioseven. We talked about Club Noize before and your first gig in forever. Are you looking forward to playing? Well, not that particular. I don’t really know what to play. I’m playing pretty early, between 21 and 22 and there is probably not that big crowd. I’ll probably play Deep House. We like deep house. As long as you stay away from the commercial sound of Swedish House Mafia etc. Do you have any favourites in deep house? I caught up with Marius again for some additional info since some time has passed since we did that interview. What do you plan to release over the next coming months? Perseid Jam will be the second release and will be released after Holographic, probably with a 2 month window. I have a couple of more tracks that is waiting in the pipeline. My plan is to release an album within a year but everything eventually is depending on inspiration. You and Lily V Nine collaborated on a track called 650 for a competition set by Armin Van Buuren for the next A State Of Trance 650-anthem. Will more collaborations come out of it? Last time we spoke about you eventually releasing vocal tracks. Has anything happened on that front yet? I haven’t done anthing when it comes to finding a vocalist, and must admit that I haven’t spent any time on it either. We’ll see what the future brings. One Response to " Interview: Marius Andries "